The Lockheed T-33, a development of the P-80 Shooting Star, was mainly used as a jet trainer by a very large number of air forces worldwide. 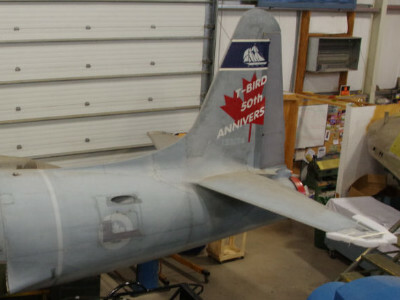 The RCAF employed Canadair and built T-33s from 1953 to 2005 as trainers, target tugs, and electronic warfare platforms. 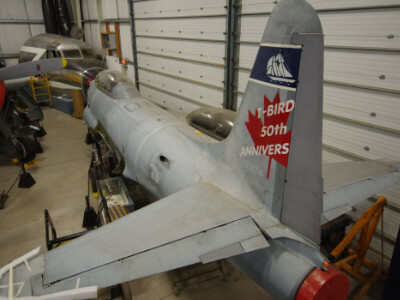 The Museum’s example was acquired in 2003 and is painted in 434 City of Halifax/Bluenose squadron colours as worn at the time of its retirement at CFB Greenwood, Nova Scotia. 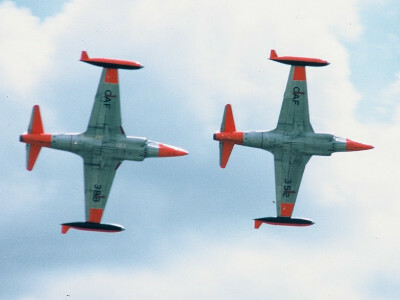 There are in fact many ex RCAF T-33s that still fly in private hands at air shows throughout North America.